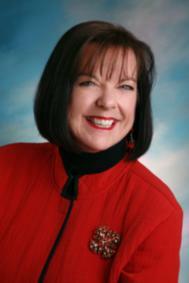 Queen of Bliss, Joeann Fossland: The NEW Consulting Model:Join Mollie Wasserman & Joeann Fossland FREE! The NEW Consulting Model:Join Mollie Wasserman & Joeann Fossland FREE! Fossland's Forums are free webinars monthly to share ideas, tools and information to help make you successful! My guest this month will be Mollie Wasserman, author of Ripping The Roof Off Real Estate and co-creator of the ACRETM Designation. Will join me to talk about how consulting can be used to give more choices to the clients you work with? This business model is gaining in popularity as agents discover how transparency and quality resonate with today's consumers! Join us! You'll be glad you did. I also offer a free goodie each month to help with your business and life! Fossland's April Freebie: Read the introduction to Ripping The Roof Off Real Estate for some eye-opening thinking about what you could do to give consumers more choices! Download it here. ...or if you haven't joined my my Facebook business side...please come play! ...or come play on FourSquare! Joeann, thanks for posting this here on Active Rain - I'm off to register right now. See you Tuesday! What a great gift! Learning is an ongoing process and you sure make it fun! The archived call has been posted if you missed it!